1. Use for any 12V DC vehicles, simple connection positive(+) and negative(-) side. 2. Widely use for Auto / Motorcycle / Home / House Decoration. 3. Available for car interior and exterior decoration and modification. 6. 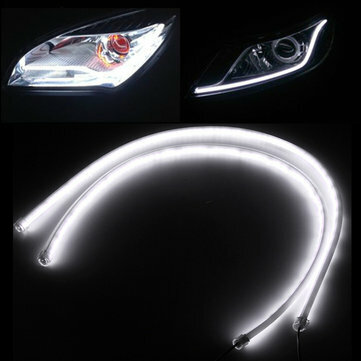 New HeadLight LED Tube Strip Design. 8. Energy saving, shock-proof and anti-corrosion. 11. Full DIY Universal Kit And Fit Most Car.